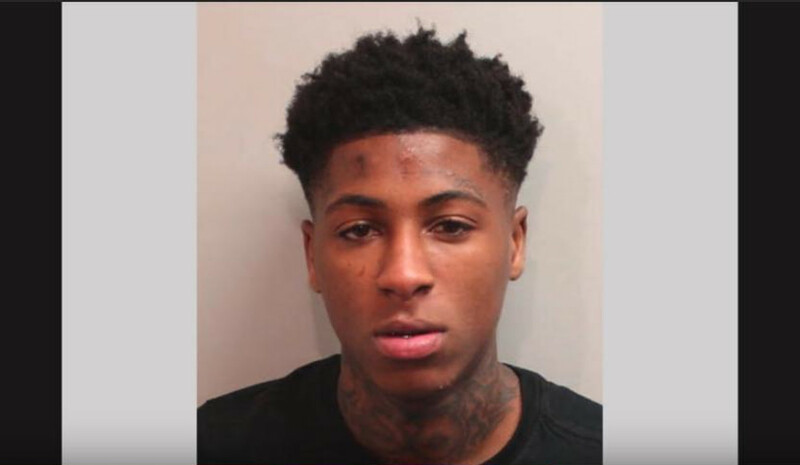 NBA YoungBoy was arrested on an outstanding felony warrant on February 25, 2018. But that news seems to be taking a backseat after a surveillance camera shows the rapper allegedly assaulting his girlfriend! It looked like he was beating her badly, pushing her to the ground, and body slamming Jania. Read on for more details. Find out more about Jania and YoungBoy, including why she is defending her boyfriend’s actions in the leaked video. Why Was Jania Slammed by NBA YoungBoy? On February 25, 2018, a video in which NBA YoungBoy and Jania are seen allegedly getting into a physical altercation in a hotel hallway, was released by TMZ. People watched in shock as Jania was seemingly thrown to the ground by NBA YoungBoy. She was also seen being pulled and shoved against the walls of a hotel hallway. The incident was caught on a security camera hours before his arrest for felony kidnapping, among other charges. Jania, age 18, and NBA YoungBoy began dating in late 2017. But it wasn’t long before negative press soon followed. Last year, it was reported that the rapper made his girlfriend sleep in a hotel lobby as he cheated on her. However, he made up for it with a “shopping spree” the following day. At the time, Jania hit back with a video. She told the person who took photos of her sleeping in the lobby that they were wrong about her relationship. She added that, unlike the person taking pictures, she’s 17 and doesn’t live at home. YoungBoy also posted a video. In it, he explained that Jania was sleeping in the hotel lobby because she didn’t want to sleep with him, not because he was cheating on her. However, news of the young couple has not always been negative. The rapper posted a video in late 2017 where he showed off a tattoo that he got of Jania’s name on his face. Why Was NBA YoungBoy Arrested? NBA YoungBoy was arrested in Florida while on his tour bus. Police pulled his records and learned that he was on the run for weapons violation and kidnapping! People are now watching the recent abuse video and wondering if Jania’s relationship with NBA Youngboy goes beyond abusive. In a video, Jania told fans, “That’s just us,” and maintained that she was not held against her will. She said that he did not lay a hand on her, adding that they are 18 years old and that’s how they show love to each other. Authorities might bring Jania in for questioning. But as of now, social media users are warning Jania about the red flags in her relationship with NBA YoungBoy. Many believe that Jania tolerates the abuse because she loves the fame and attention. Come on now my g you must really think we that stupid ?. Jania ? ?? what you scared of admitting you talking to us about having kids fa ? ? ?‍♀️ females ??‍♀️? She loves the attention and fame. That’s the only reason, but I pray she walks away before it gets worst.